Tommy Thompson developed players, but he also wanted to win. The longtime minor league manager always tried win his league, he told The Tulsa World in January 1989. "That is something I use in managing," Thompson told The World. "I tell my players: 'You can make a lot of money in this game. Something might happen and the money will be gone, but if you win a championship, nobody ever will be able to take that ring away from you.' "
Thompson spent nearly two decades as a manager in the minors after spending eight seasons as a player in the minors. Thompson's baseball career began in 1965, taken by the Cardinals in the 54th round of the draft out of El Cajon Valley High School in California. Thompson played his first year in 1967 between short-season Lewiston and single-A Modesto. He stayed in single-A through 1971. Thompson moved to AA Arkansas for 1971, then hit AAA Tulsa in 1973. His final season came in 1974 between Modesto and Arkansas. Thompson started his managerial career by 1977, taking over at Arkansas and winning the Texas League championship. He moved to single-A st. Petersburg for 1980, then AAA Springfield in 1981. He joined the Expos system for 1982 at single-A San Jose. He returned to AA in 1985 at Jacksonville, staying there for four seasons. 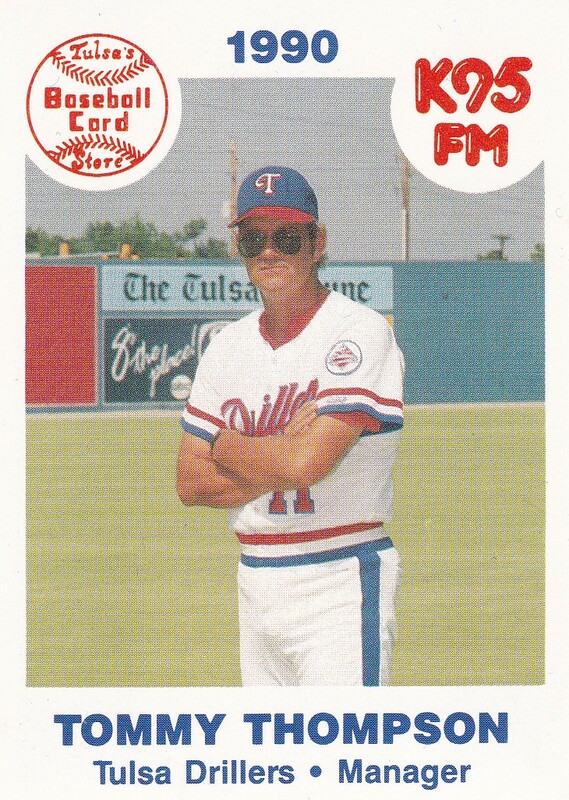 He jumped to the Rangers system for 1989, managing at AA Tulsa. Thompson then made AAA Oklahoma City in 1991 as manager. The next year there, he won the American Association title. "In my 16 years of managing, this has been most rewarding," Thompson told The World that September. "The guys wanted to be champions. They played and they had the mental toughness." Thompson also got to spend that September with the big club in Arlington, his second-straight year of doing so, according to The World. Thompson managed 1993 and 1994 at high-A Charlotte with the Rangers. He's last credited as managing in 1996 at single-A Charleston with the Reds. In 1993, with Charlotte, Thompson explained his style to The Sarasota Herald-Tribune. "I come from the old school," Thompson told The Herald Tribune. "You play the game correctly, and you play it hard."